I, like most backpackers started out sleeping on the ground. No wonder it’s cursed, between the rocks and roots, cold and damp, and stiff body joints it produces. Recently I was reflecting back on my journey from traditional backpacker to where I am today. The single biggest change for me over the years has been my progression from heavyweight ground pounder to hammock hanger. I thought I’d share a little bit of that journey with you. My first tent I originally bought was for car camping, back in 1988. It was a Eureka Timberline 4 with vestibule, and when I started backpacking I had little money to spare so I carried that 11+ pound nylon hotel in my equally gargantuan pack. It didn’t take me long to figure out this was just a wee bit crazy. I scraped up the money and bought a Northface two man tent that weighed 6+ pounds. Boy, that was livin’ ! Then in 2003 I discovered the greatest thing since sliced bread – the Henry Shires Tarptent Squall. That was a huge step in becoming a lightweight backpacker (well that and getting rid of the ax, bow saw, canned goods, etc). By then I had lightened up my pack and sleeping system, and my big three (pack, sleeping bag and shelter) was under 6 pounds – less than that Northface tent I used to lug around! The only downfall was the same problem every tent has – setup and breakdown in bad weather. 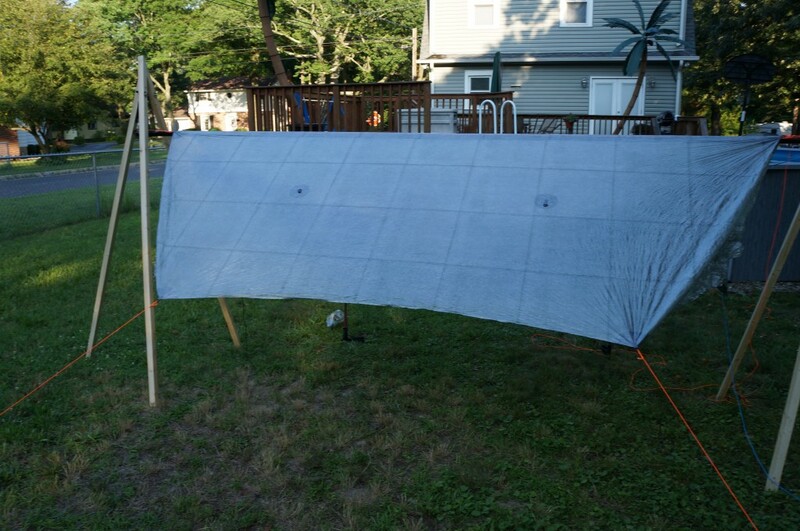 I had played with nylon tarps as far back as the late 80’s with only mediocre results, Now with silnylon materials making tarps much lighter I decided to give tarp camping another try as an alternative in bad weather. By 2005 I was a full time tarp camper. I enjoyed the fact that a tarp allowed for endless pitching options and drier setup and take down. I also enjoyed the freedom of a mostly unobstructed view. 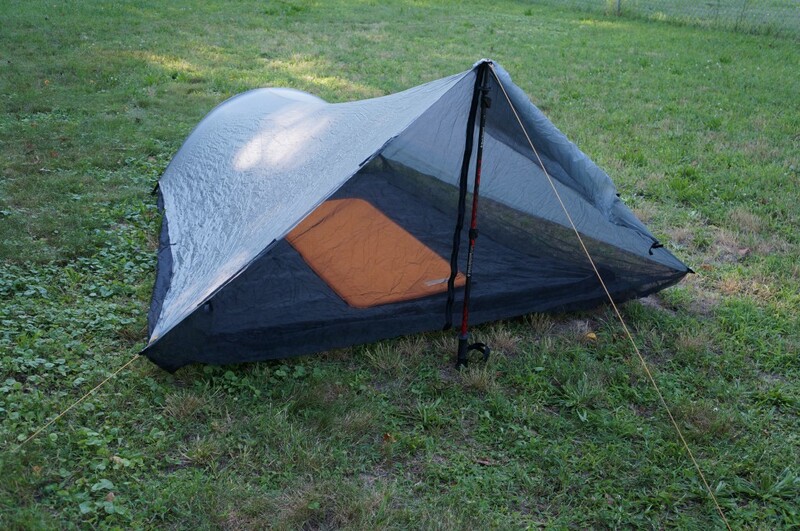 I never felt the need to be cocooned in nylon, and tarp camping allowed me to be more connected to the environment around me. 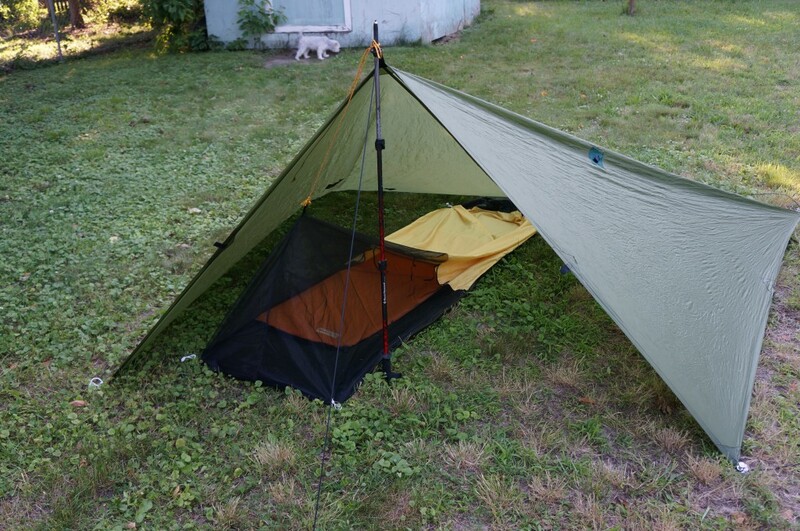 With the modern materials available today, tarps can be had that weigh as little as four ounces, and bivies that are in the four to five ounce range. As with all things backpacking, the only limit is your budget. I watched with some amusement and little interest as the hammock craze kicked into high gear. Something about all the bits and pieces needed to “make that thing swing” was so completely the opposite of the minimalist approach that had become ingrained in my gear choices. On top of that, I had a hard time with the idea of adding more weight to my by then highly refined gear kit. That all changed in 2012 when I had the chance to pick up a Hennessy Hammock fairly cheap. I thought why not? At least this way I could poo poo hammocks with authority. Here I am a year and a half later, and I have to say I’m hooked! No more stiffness, no more cold ground, no more looking for a nice level spot. I won’t say it’s all been roses. There is a slight learning curve to figure out how to hang your hammock correctly. Selecting items like suspension and underquilt has been a bit of a learning process also. 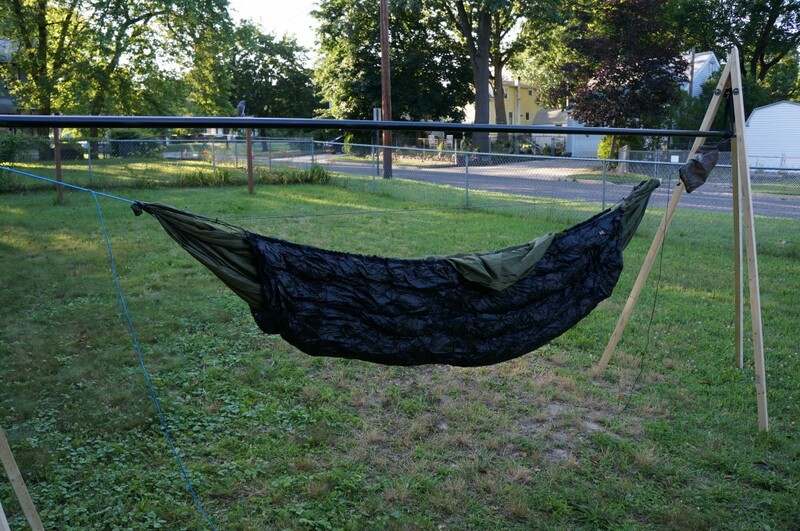 My current setup is a Warbonnet Traveler 1.7 single hammock, Hammock Gear Incubator Underquilt, Hammock Gear Cuben Fiber tarp, Whoopie Slings, Dutchware Dutch Clips, and 1″ tree hugger straps. The two greatest resources I have found are the Hammock Forums ( a great bunch of folks by the way), and also a book by Derek Hansen titled The Ultimate Hang (also a member of Hammock Forums). Will I ever go back to being a “ground pounder”? Maybe in a moment of weakness when challenged to a lightest pack contest – naaaa, hang ’em high I say! Under a tarp, but never on the ground.